The unit’s perfect sound quality makes this the smarter way to hold meetings. 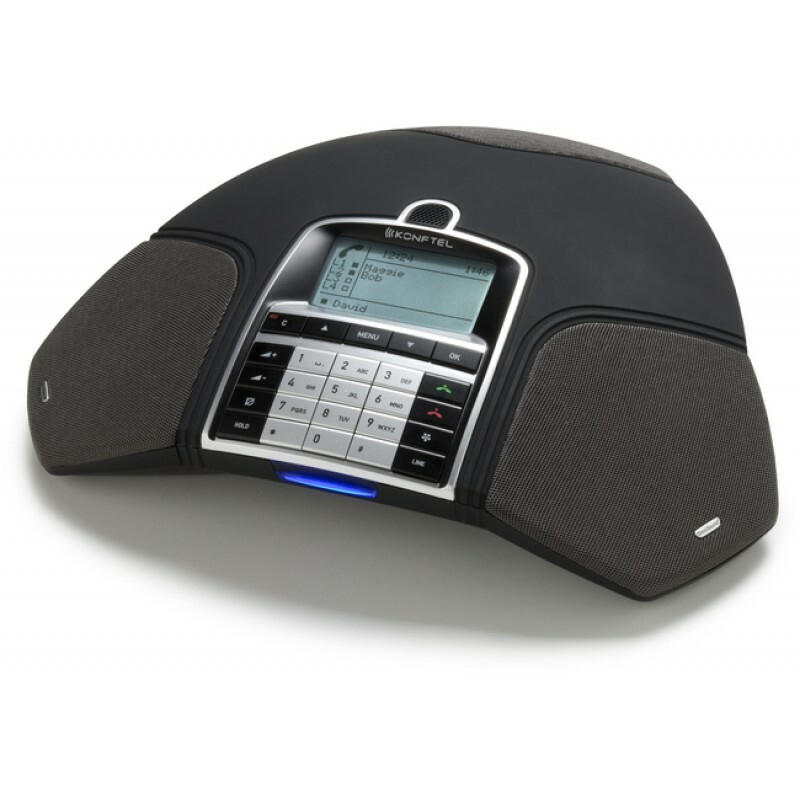 The Konftel 50 is a flexible unit – perfect for efficient audio conferences from your desk or in smaller meeting rooms. Connects to IP, system, DECT and mobile phones. For connection to computers too. You can hold a meeting anytime – regardless of distance and fully booked schedules. Konftel makes telephone conferencing the ideal alternative, providing an opportunity to bring people together and hold spontaneous meetings to reach instant decisions. The Konftel 60W is a stylish mobile conference unit for the modern office that includes Bluetooth technology for even greater versatility. 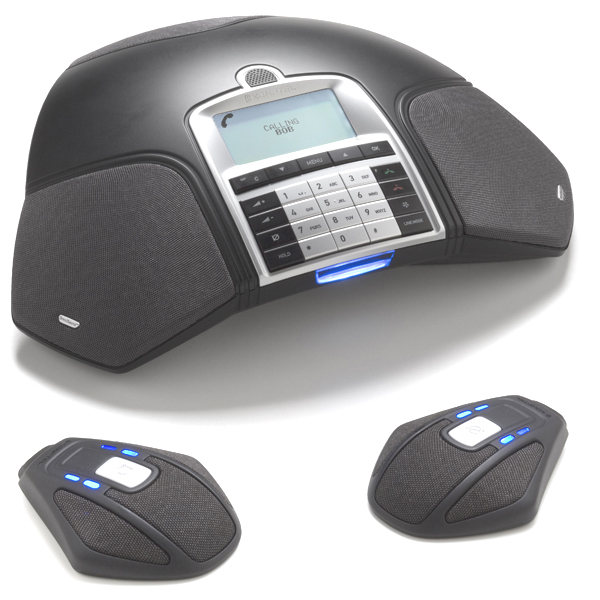 With superb sound quality and easy-to-use functions, it connects easily to computers and system telephones as well as operating cordlessly with Bluetooth® enabled mobile phones. 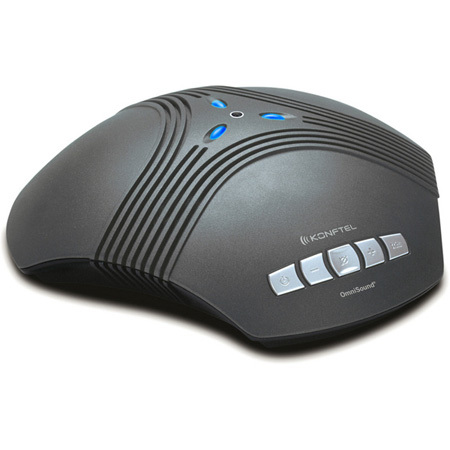 Konftel 250 is an excellent choice when holding telephone conferences without compromising sound quality. 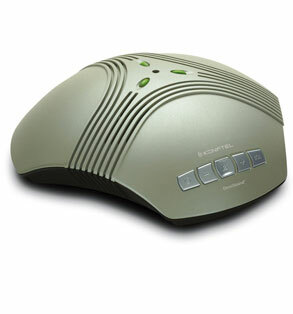 The Konftel 250 is equipped with Konftel’s patented OmniSound® 2.0 audio technology, for crystal-clear sound. Save your contacts in the phone book and use the conference guide to easily set up multi-party calls or pre-programmed group calls. Konftel 250 also has a built-in recording function that enables you to record your calls on an SD memory card. The Konftel 300 is ideal in larger contexts as you have the option of adding expansion microphones, a wireless headset and an existing PA system too. You can record your calls onto an SD memory card and the line selector mode allows you to switch between and combine three connectivity technologies, analogue, mobile phone and USB. The conference guide is a useful feature if you make regular calls to the same group as it enables you to set up multiparty calls and save call groups. 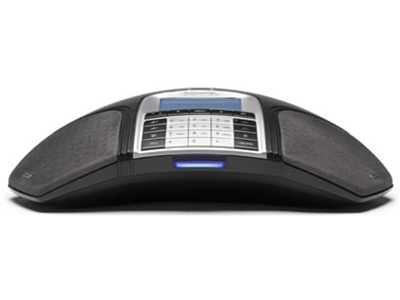 The stylishly designed Konftel 300IP is packed with intelligent functions to make teleconferences more efficient. For instance, you can record and store your meetings on a SD memory card. The conference guide makes it possible to call pre-programmed groups with a few simple pushes of a button. Contacts can easily be imported and exported via the webinterface. With the personal user profile function you can create your own phone book. 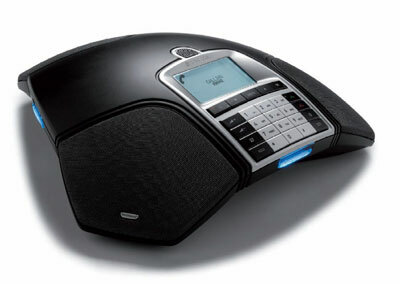 The Konftel 300W gives you the flexibility to arrange meetings without the need for electrical sockets or phone jacks. Its rechargeable battery provides talk time of up to 60 hours – you can talk for a whole working week without having to recharge! The Konftel 300W is GAP compatible and can be integrated with existing DECT systems. It also connects easily to your PC via a USB port for VoIP calls over the Internet or to your mobile phone. The integrated bridge system provides the capability to connect DECT, a mobile phone and USB to multiparty calls. Sound card for connection to PC for IP Softphone via the Internet. 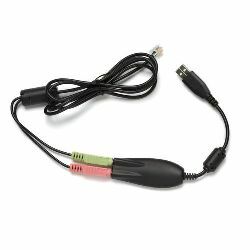 PC cable 1.5 meters (4 ft) included.